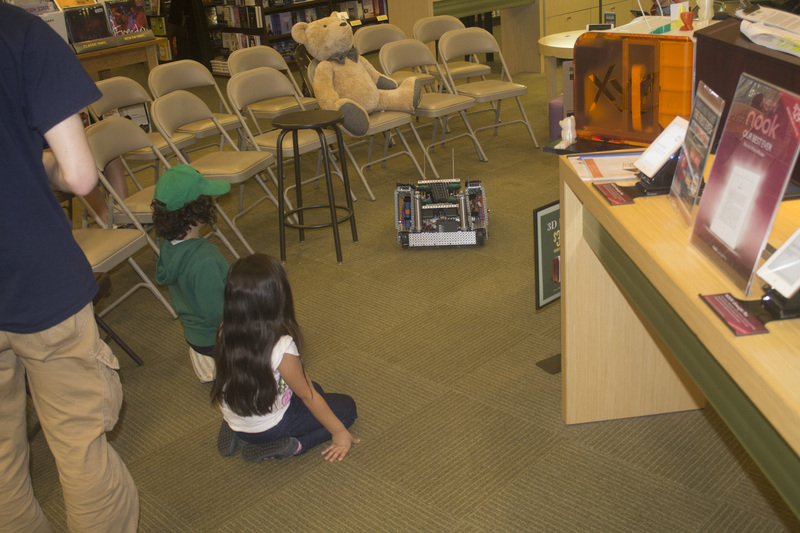 This past weekend, FHS Robotics joined Barnes & Noble in celebrating community creativity at the Maker Faire. 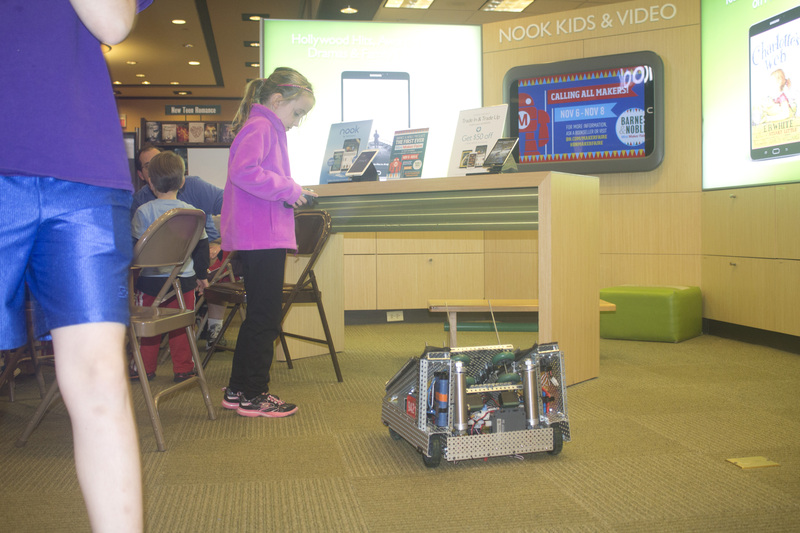 The event, which took place at the Barnes & Noble in Framingham, featured multiple makers from the area. 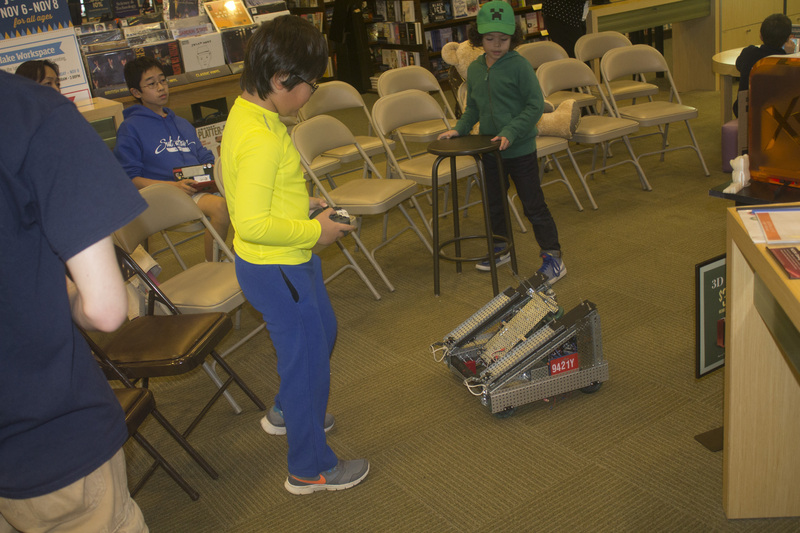 FHS Robotics gave a presentation, built marshmallow launchers out of Popsicle sticks, and allowed kids (and any adults who so desired) drive the robots around.